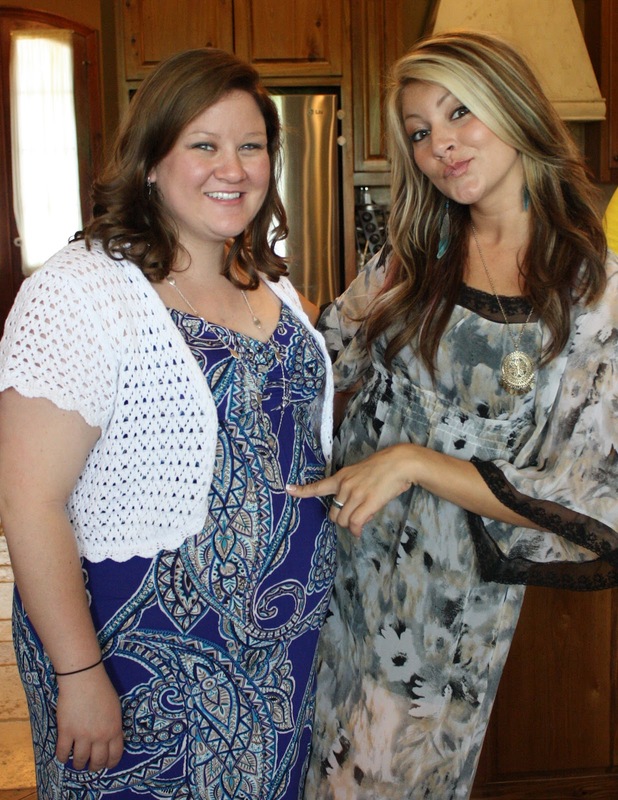 Yesterday was my friend Amanda's shower! Everything went so well. It was my first time helping to host a baby shower, and I had a great time! Love Amanda & the other hostesses! It was also fun seeing some friends I hadn't seen in awhile! That cake was the best cake I've had... in... a long time?! Yes, I did have a piece. It was carrot cake & it was SO AMAZING! The quilt in the top picture is something Amanda MADE for Baby Judah! She has become all crafty since getting married! 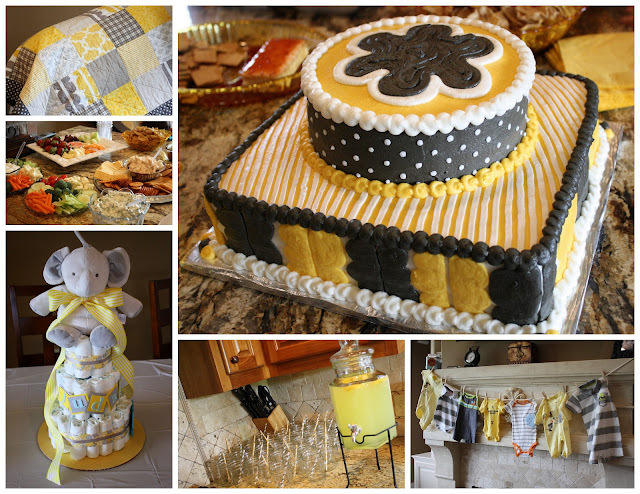 ;) The rest is just the food & decor for the shower, everything was yellow & gray, like Judah's room. It was cute! 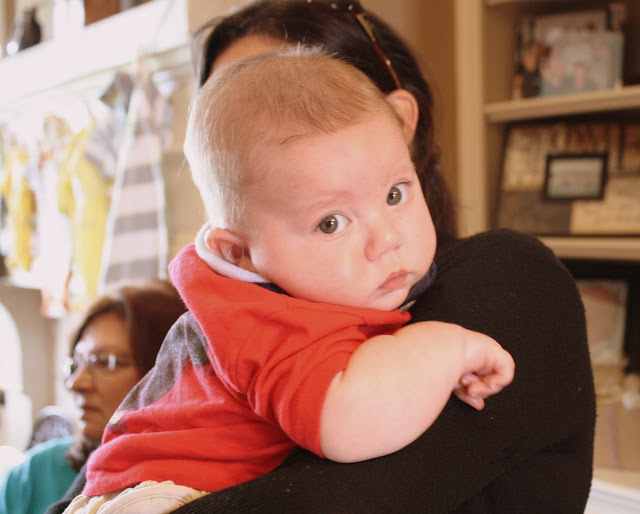 I finally got to meet my friend Heather's baby, little Brock! He is a CUTIE PIE! 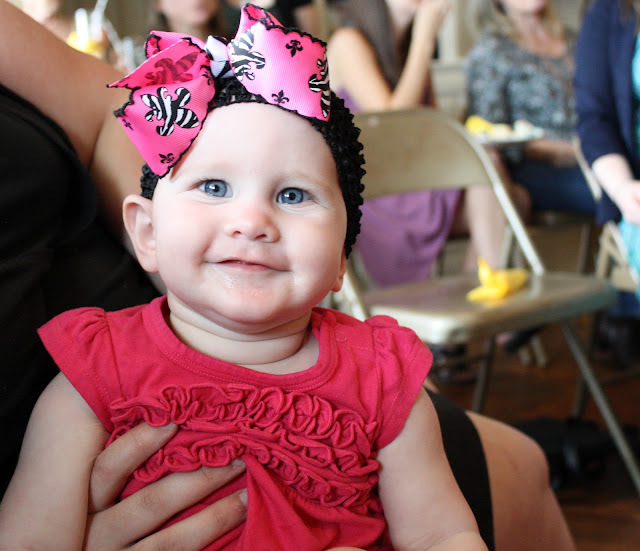 I also got to meet my friend Candice's baby Kinley. 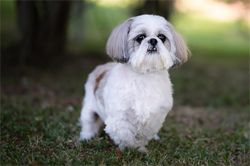 She is a doll & certainly knows how to smile for the camera! Pics above are of Amanda & her friends and family. The top left picture is with her mom; top right is with her sister-in-law, Jennifer, who is also having a baby boy; below that is with Victoria (I kind of freaked out when i saw her... last time i saw her she was about 4 or 5! She's 11 now! ); bottom right is me & Becca with Amanda - love these girls! 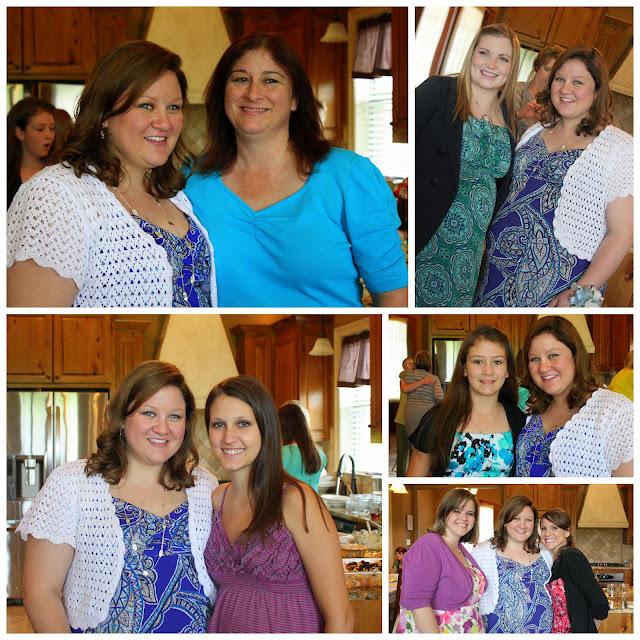 And bottom left is Amanda with Angela, her other sister-in-law who is also pregnant! The shower was at her house & it was just beautiful. 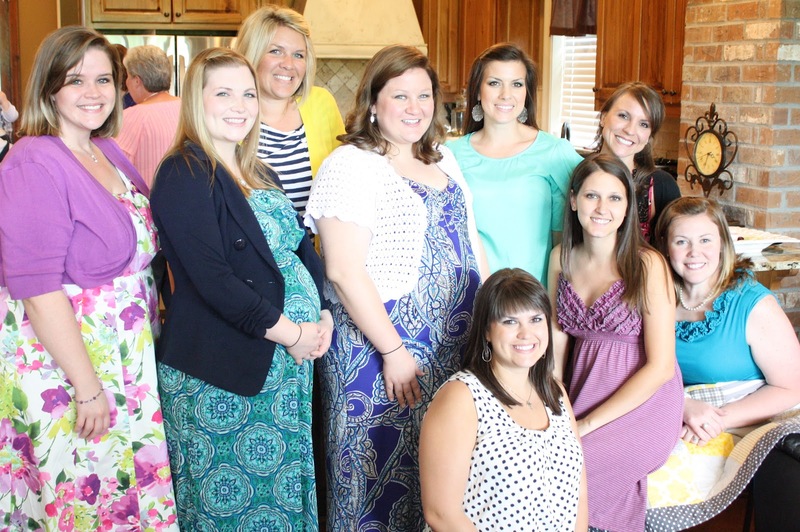 Amanda with all the hostesses: Me, Jennifer, Kacie, Katie, Becca, Brandi, Angela, & Rebecca! There she is! The beautiful mama-to-be! Due June 30th! 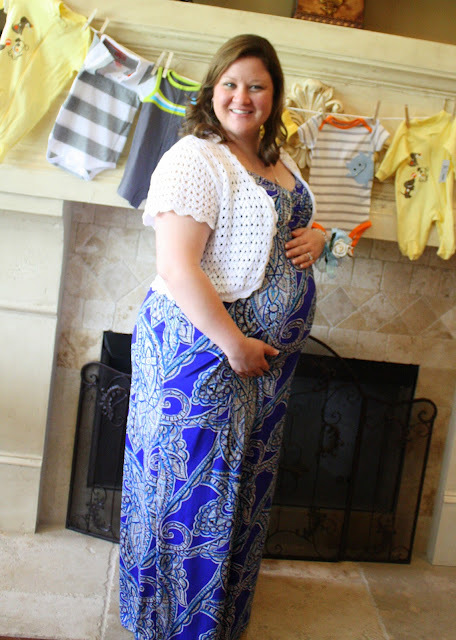 Can't wait to meet Little Judah! !